Access to safe, secure housing is a basic human need and a key element of healthy and complete communities. The City's work on housing issues falls within the mandate of the Real Estate, Housing and Economic Sustainability Branch. They work with individuals, community-based groups, other civic departments, other orders of government, and the development industry to respond to housing and related service needs. In 2005, Council approved Cornerstones: Edmonton's Plan for Affordable Housing 2006-2011 to help lower-income Edmontonians by increasing development of long-term affordable housing and advocating for increases in income supports and funding. This work was extended through Council's approval of the Cornerstones II plan for 2012-2016. The First Place Program is giving first-time homebuyers a break by transforming 20 surplus and vacant school sites in established city neighbourhoods into potential locations for new townhomes. This program provides affordable rental units throughout Edmonton, including apartments and townhouses. 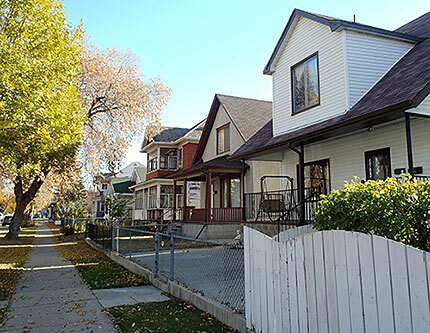 These programs help address Edmonton’s housing gap of approximately 7,000 emergency, transitional, and long-term housing units and approximately 20,000 affordable housing units. The Board offers information and workshops for tenants, landlords, property managers and outreach workers. The City of Edmonton hosted a roundtable on housing in April 2014. This began a conversation around options for innovative national and local approaches to housing issues. Get the details on Moving on Housing 2014. For more information on what the City of Edmonton is doing to address housing issues, read the Housing and Homelessness Annual Update 2015. The Pregnancy Pathways Initiative is in development to address the housing, health and social needs of pregnant, homeless and vulnerable women in Edmonton. This Request for Information (RFI) process will identify leading agencies to support the development of this initiative. The purpose of the Lendrum Panel pilot is to provide an impartial, transparent forum to discuss and share perspectives on Capital Region Housing Corporation’s (CRHC) proposed Lendrum Manor and Lendrum Villa affordable housing redevelopment. The Panel will bring the CRHC and the community together, providing an open space for dialogue with the goal of seeking common ground and addressing potential areas of conflict prior to the CRHC submitting their rezoning application to the City for processing. 1 member representing the Lendrum Community League. The 3 independent Panel members were selected based on their skills, including conciliation/resolution, negotiation, organization, facilitation, residential project management, and neighbourhood planning experience. The results of the pilot panel will be used to help determine the benefits of taking a similar public engagement approach with future affordable housing developments.